The psychologist's companion : a guide to writing scientific papers for students and researchers by Sternberg, Robert J. What is the GW Writing Center? How do I make an appointment to meet with a tutor? The Writing Center provides both on-campus and distance learning services. On-Campus Appointments: Health Sciences Tutor Consultations are available for GWSPH, SON, & SMHS students. You may sign up for a face-to-face consultation with a health sciences specialists tutor. 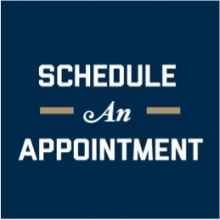 Appointments available at both the Himmelfarb Library, Foggy Bottom Campus and the Virginia Science and Technology Ashburn Campus. Distance Learning Appointments: The Writing Center uses Zoom, an interactive videoconferencing online interface that allows you to share your desktop and documents. Please visit the Online Students: Appointments webpage for instructions on how to schedule your distance learning appointment. What type of support do they offer for non-native English speaking students? The Writing Center has services for Non-Native English Speaking Students: For specific writing help as a non-native English speaking student, please look into scheduling your appointment at the Language Center. Where can I go if I need help using the Writing Center's online appointment schedule site? How to Use WC Online Registration: Visit the Writing Center's page for complete instructions on how to register for an appointment using the WCOnline site. GW Writing Center Contact: You can contact the Writing Center by phone at 202.994.3765 or via email at gwriter@gwu.edu. Writing a bibliography doesn't have to be a confusing process! 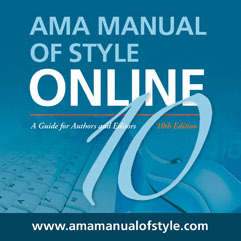 For a good reference on AMA Style go to the AMA Citation Style Guide or APA Citation Style Guide. Produced by the New York Medical College, tip sheet contains most frequently requested information on how to use AMA Style. Produced by the Writing Lab at Purdue University, online reference on how to cite in APA style format. 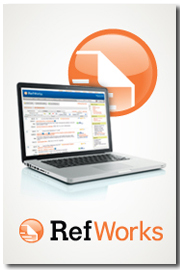 Includes in-text citation, reference list in both print and electronic sources. Great for help with grammar, punctuation and spelling.